2. 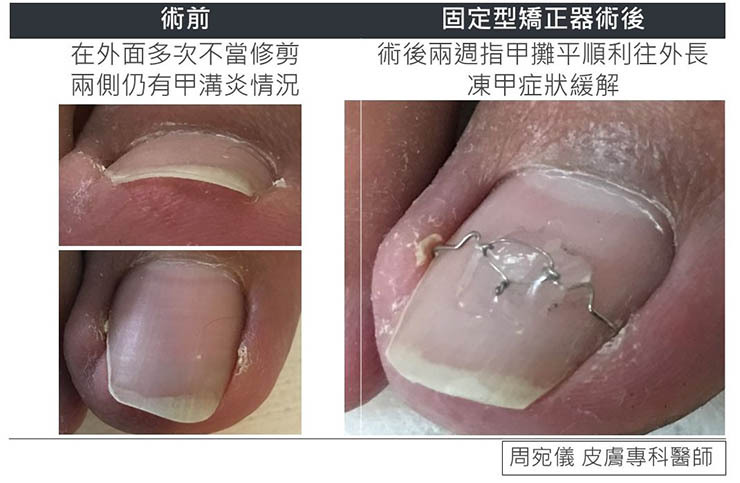 A simple therapeutic approach to pincer nail deformity using a memory alloy: Measurement of response. 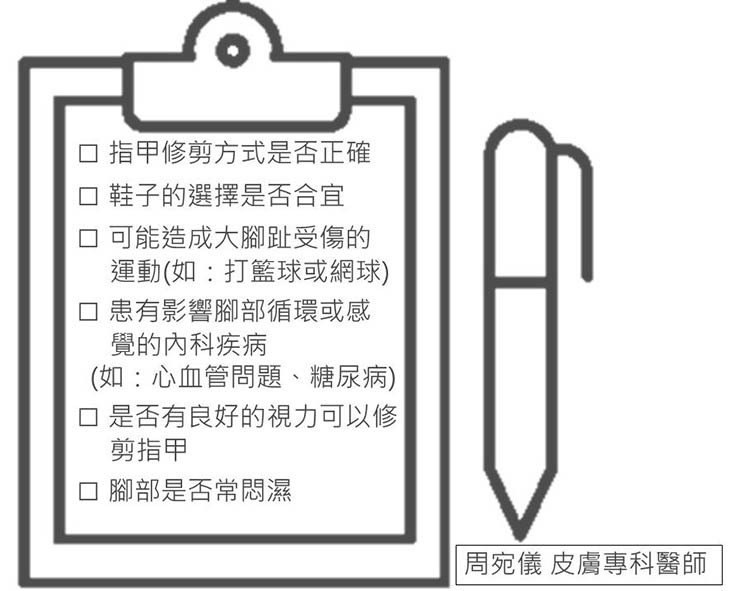 Tseng JT, Ho WT, Hsu CH, Lin MH, Li CN, Lee WR. Dermatol Surg. 2013 Mar;39(3 Pt 1):398-405. 5. 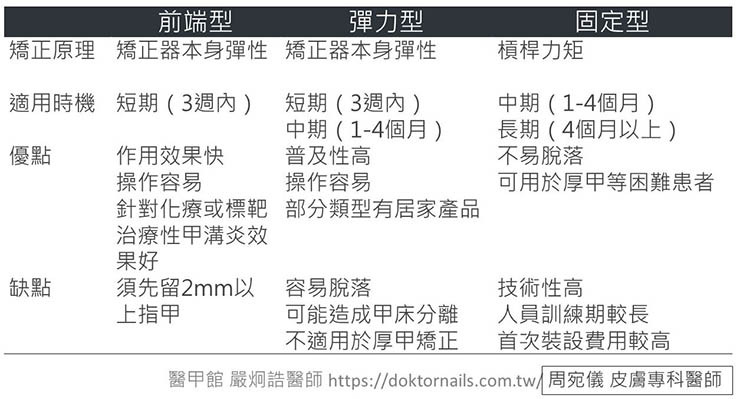 Ingrown toenails the role of the GP. Bryant A, Knox A. Aust Fam Physician. 2015 Mar;44(3):102-5. 7. 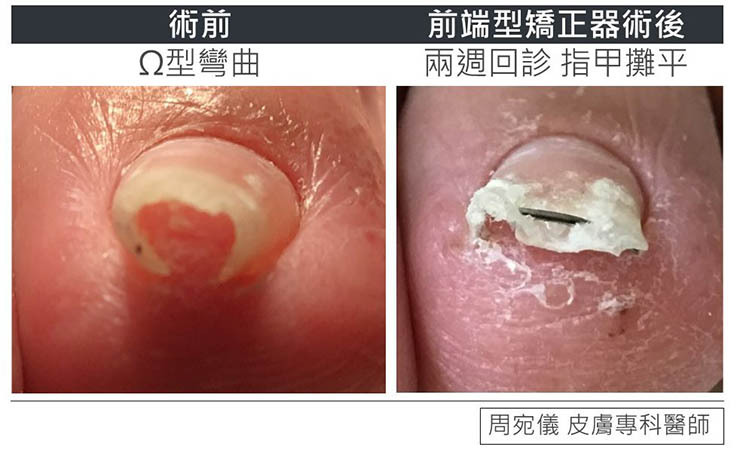 Super U Technique for Ingrown Nails. Correa J, Magliano J, Agorio C, Bazzano C. Actas Dermosifiliogr. 2017 Jun;108(5):438-444. 8. 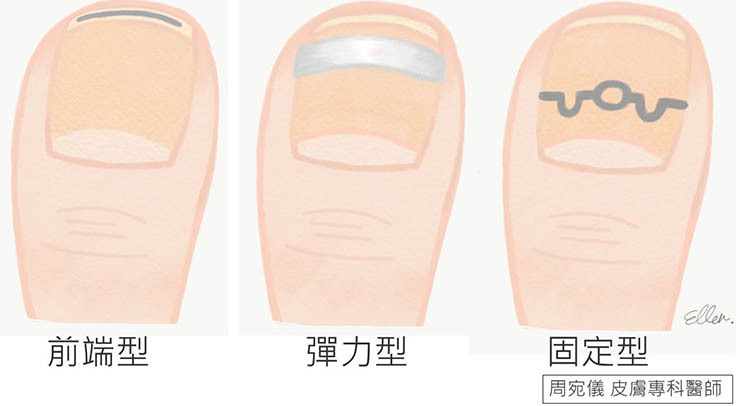 The Stainless Steel Wire-based Method of Sogawa Effectively Corrects Severe Ingrown Nails. Sano H, Oki K, Sogawa H, Ogawa R. Plast Reconstr Surg Glob Open. 2016 Aug 15;4(8):e846. 9. 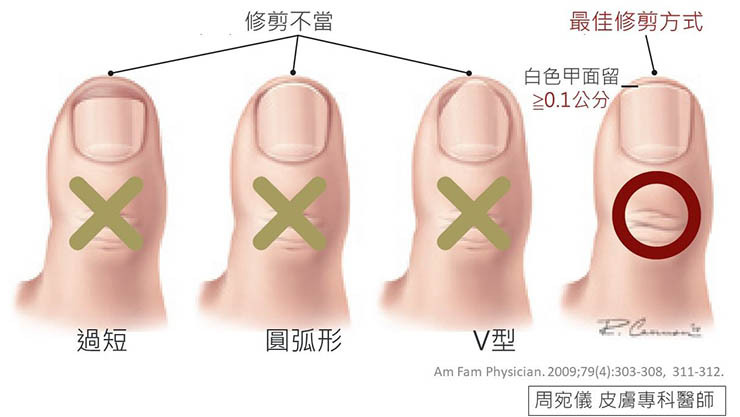 Toenail paronychia. Lomax A, Thornton J, Singh D. Foot Ankle Surg. 2016 Dec;22(4):219-223. 10. 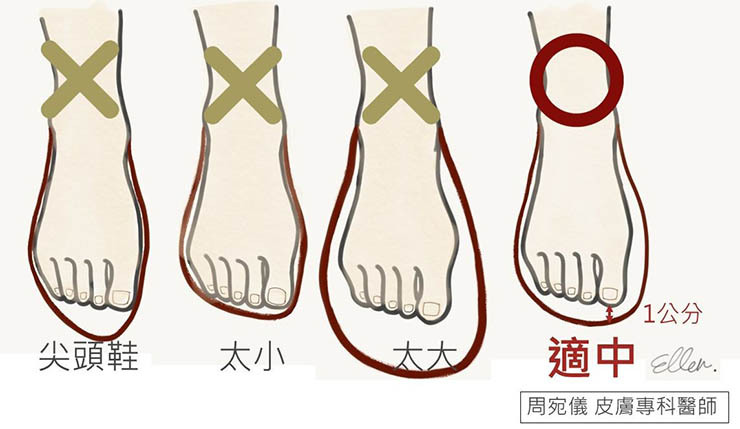 Management of the Ingrown Toenail. Lomax A, Thornton J, Singh D. Foot Ankle Surg. 2016 Dec;22(4):219-223.